Royal Tips Tea has selected high quality, aromatic and elegant white loose leaf tea from Fujian province in China where white tea originally comes from. It is widely regarded that the world’s best white teas are produced in Fuding and Zhenge - two counties in Fujian province that are famous for white tea manufacturing. It is considered that the best white teas in the world are obtained from the Da Bai tea varietal, selected precisely for white tea production. The buds of this varietal are long, fleshy and covered with white silky down, thus giving the tea its name (white tea). 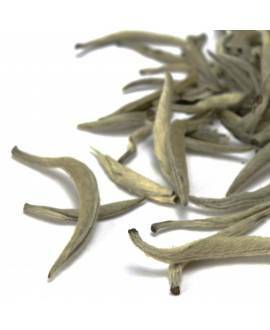 Gourmet Silver Needle white tea is made exclusively from these tea buds. It has a subtle and refined flavour, but at the same time it is a very complex and fragrant tea. The production of white tea is a unique and fascinating process. To make premium white teas the tea producers use only the buds and the young leaf shoots of the tea plant Camellia sinensis. 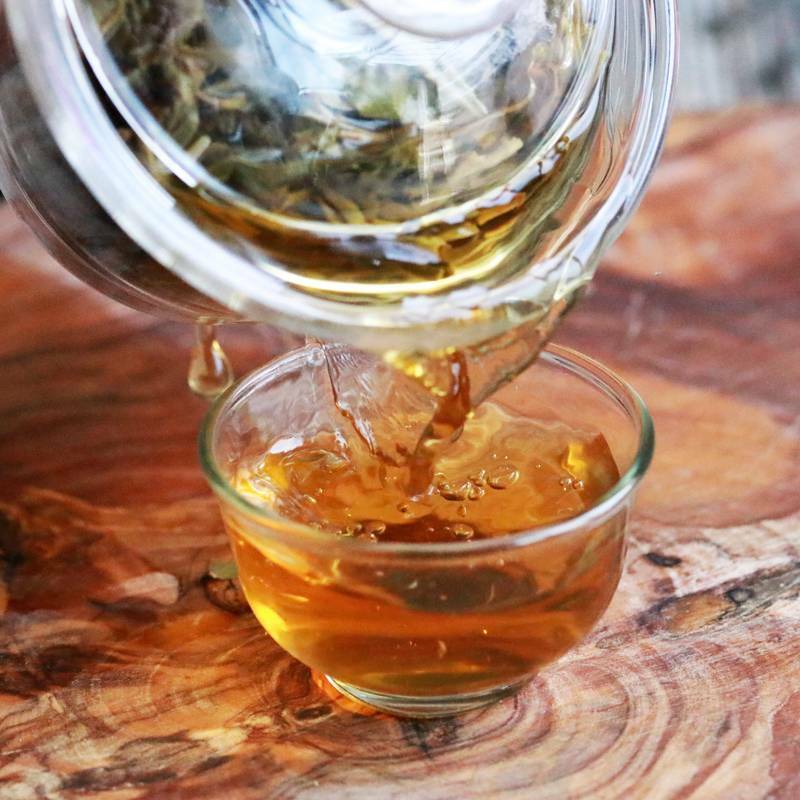 The most famous gourmet loose leaf white teas are Silver Needle (Bai Hao Yin Zhen) which consists entirely of tea buds, and White Peony (Bai Mu Dan), which is made from one bud and the next one or two young tea leaves on the stem. Being the most delicate, white teas are also the least processed of all the teas. The tea makers do not apply any heat to stop the oxidation, but let the tea leaves dry naturally. Nor do they roll the leaves and buds, so the tea leaves maintain their natural shape once they have been dried and are therefore very gentle and fragile. This is why the health benefits of white tea are similar to those of the fresh tea leaves as they grow on the bush. This means that white tea’s popularity has been growing exponentially among tea lovers all around the globe. 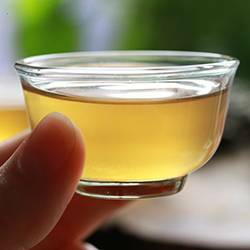 The latest research data indicates that the level of antioxidants in white teas can be even higher than in green teas, which means that white teas offer a wide range of health benefits. Light and exquisite, they are a perfect option for those who wish to maintain a healthy lifestyle, but do not particularly enjoy the fresh grassy notes of green teas. All our white teas are carefully packed into sealed bags to preserve freshness, quality, and therefore the health benefits of our loose teas. You can order a white tea sample of 5g or chose between packets of 25g, 50g, 100g or 250 g. The higher the quantity, the bigger the discount you will receive for your loose leaf tea purchase. This is because the packaging cost is very high, so the larger the quantity of tea you buy, the more money you will save on packaging. 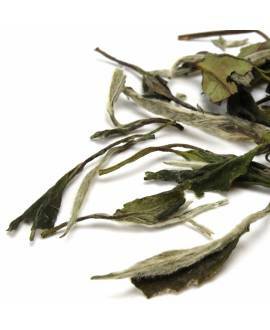 The most sophisticated, refined and complex loose leaf white tea – light, smooth, delicate and deliciously fragrant. An absolute favourite! Light, sweet and smooth white tea. Refreshing and full of flavour.